Back Heathrow had a stall at the Southall Vaisakhi Mela on April 14, playing its part in an important event for the local Sikh community. We had an enjoyable day out and the message of Vaisakhi - friendship and mutual respect - were much in evidence at Norwood Green. For Back Heathrow it was a chance to meet some old friends and make some new ones. Our stall was surrounded by food stalls and was in front of the stage and sound system that supplied infectious Bhangra beats. Thanks to DJ Jazz Kalsi at Intamixx Entertainment for raising the temperature on what was a coldish spring day. Thanks also to event organiser Jaz from Asian Events Media and all the dancers and performers on the day. From the warmth of the welcome, it was clear that support for a new runway at Heathrow airport is very strong in the local community. Jobs, apprenticeships, and prosperity for future generations are key to that support. However, more than anything, people wanted to know when the runway was actually going to be built? What was causing the delay? They understood that parliament approved the decision last year, but what many did not know was that a group of councils, led by Hillingdon, were taking legal action against the airport. Unsurprisingly, the prospect of delay causes concern in a community so reliant on the economic benefits of our airport. Last Sunday also gave us the chance to remind people that the consultation on the detailed planning stage begins in June. It is vital that the local community have their say, so when the time comes – get involved. Heathrow takes its responsibilities seriously and must get it right if it is to receive government sign-off to finally build the new runway. It must work just as hard to ensure its future operations are sustainable, in order to meet air and noise targets set by the government. But as we found at the 2019 Southall Vaisakhi Mela, if it creates opportunities and prosperity for future generations, local people will continue to back Heathrow. Heathrow tops the league, but for how long? Heathrow airport has done it again. The business news company, Bloomberg has announced that for 2018 the airport held onto its status as Europe’s busiest. Heathrow handled 80.1m passengers last year, with its nearest rival, Paris Charles De Gaulle, trailing 8m passengers behind. One interesting reason that explains why Heathrow is ahead in passenger numbers is because airlines/carriers use bigger jets to maximise their returns from the airport’s two busy runways. As the table below shows, the UK, Spain and Germany all have two airports in the top ten busiest airports in Europe. 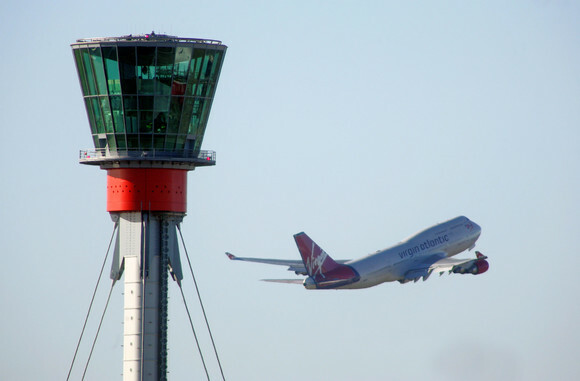 Together, Heathrow and Gatwick were the busiest with over 126m passengers between them. Heathrow has been the world’s number 1 airport for international passengers, but in 2017 lost this top spot to Dubai Airport. However, by way of compensation in 2018, Heathrow Terminal 2 was voted by SkyTrax as the world’s best airport terminal. On top of that, in 2017 - for the third consecutive year, travellers from around the world awarded Heathrow ‘Best airport in Western Europe’. But nothing stands still in the world of aviation. A new airport in Istanbul, designed to handle 90m passengers a year by 2020 will put pressure on Heathrow’s premier status - where the new runway won’t be ready until 2026 at the earliest. The report also looks at the rate of increase in passenger numbers, and top of the league in 2018 is Moscow with passenger growth of 14.3%. Heathrow languishes second from bottom with growth of just 2.7%, and with only Gatwick below it at 1.1%. These figures clearly illustrate the problem Heathrow has. The airport operates at 98% capacity and has little room for passenger growth without further expansion. It has been argued that operating at such a level has constrained UK economic growth and restricted the development of new routes to growing economies in Asia and elsewhere. When new public transport infrastructure improvements like Crossrail and HS2 are completed it is estimated that by 2030, 70% of Britain’s population will be within three hours of the airport. As the UK’s only hub airport, it is crucial that the airport thrives if the UK is to be economically competitive. The Friends of the Earth protest at the High Court today will not tell you the whole story about climate change. Climate change is one of the most pressing issues that faces us in the UK and wider world, we should all agree on that. However, it is a problem that should be shared by all and to argue scrapping expansion would solve climate change is wrong. The enemy is not aircraft but carbon. The reality is that you can’t uninvent aircraft or the aviation industry, the trick is to target the real culprit – carbon emissions. Putting to one side the economic benefits of expansion – jobs, new skills and investment, let’s look at some of the anti-expansion arguments. Figures from the government’s committee on climate change show that overall emissions fell by 5% between 2015-2016 and the UK is on target to meet its carbon budget targets. Although transport accounts for 25% of emissions, this consists of mainly petrol and diesel cars. Since 1990 UK emissions have fallen 43%, while the economy has grown over 70%, while carbon dioxide – the main greenhouse gas – is down 36 per cent. Many factors can help to limit emissions, like better flight seat occupancy; improved fuel efficiency and changes in airline routes. Aircraft technology: the goal is to continue to improve the fuel efficiency of the global fleet of aircraft by 1.5% a year until 2020. Airspace and operations: airspace needs to be modernised to take advantage of satellite navigation technology that exists, allowing much more efficient flight, lowering carbon emissions. Sustainable fuels: is a critical ingredient for the aviation industry in the UK to reduce carbon emissions. They are made from agricultural or industrial waste and provide an alternative to the traditional fossil fuels that power jet engines. Carbon pricing and offsetting: aviation can help by investing with other sectors and activities that can reduce or capture emissions where they can do it more cheaply and quickly. To achieve these goals Heathrow must also meet the wider objectives of the government to control and reduce emissions and to meet their international obligations. Any vision for travel and transport should be a part of wider urban, road and infrastructure development. This can reduce traffic and enhance air quality, reduce congestion and noise. There is a lot to be done, and it is important to see aviation playing its part. The team at Back Heathrow send our condolences to the family of Cllr Tej Ram Bagha, who sadly passed away earlier this month. Cllr Bagha was a strong supporter of the campaign for the third runway. Having spent his career working at Heathrow, and representing a community reliant on the airport for work, Cllr Bagha’s steadfast support for growing jobs and the prospects of people in Southall ran through his 25 years of public service at Ealing Council. Arriving in the UK in 1963, Cllr Bagha was among the first generation of Commonwealth migrants to settle in Southall at the height of Britain’s post-war labour shortages. Eventually finding work with British Airways, Cllr Bagha spent 29 years as a baggage handler at the airport. His commitment to Heathrow lasted well beyond his time with BA, where he continued to work as a special assistant, helping disabled passengers navigate the airport’s terminals well beyond retirement. First elected in 1994, Cllr Bagha’s commitment to the community in Southall was extensive. A school governor of Allenby Primary School for over 20 years; a longstanding member of the Indian Worker’s Association executive; a key figure at both his local Sri Guru Ravidass Sabha Temple and the national Sri Guru Ravidass Societies organisation. In recognition of his life long commitment to public service, Cllr Bagha was appointed as Ealing’s first citizen as Mayor of the Borough from 2014 to 2015. Cllr Bagha is survived by his son, daughter and three grandchildren, and our thoughts are with his family at this challenging time. Party Political Conferences are in the news this week. For Back Heathrow it’s been an opportunity to make our case to decision makers. As a former MP, being back in the mix of a party conference and the fanfare of speeches, statistics and opinion polls was quite exciting. I was invited to speak at a roundtable discussion about revamping Britain’s infrastructure. The panel was made up of politicians and trade unionists, who all had views on how we should speed up job creation and build for the future. I talked about the need to improve the planning process, about the importance of good community engagement and (importantly for this audience) - the need for politicians to be brave. Whether its airport expansion, major roads, railways or power stations, the infrastructure we need to live our lives, create jobs and grow our economy is stymied and, at least in part, politics and politicians must take responsibility. At a time of economic and political instability it is more important than ever that our politicians become braver about national infrastructure and articulate the reasons to ‘do’ rather than find excuses to ‘not do’. Heathrow’s new runway is an interesting but not untypical example. To make my point, I highlighted some interesting Populus polling unveiled by Heathrow last week. The poll confirmed what regular polling has shown since 2015 – that more local people across the swathe of local Boroughs support Heathrow’s expansion than oppose it. Politicians are sometimes pushed around by the loudest voices, and the sensible silent majority are often overlooked. For example, did you know that in the Hillingdon Borough (where the Council is leading the legal fight against expansion) support for expansion outweighs opposition by 19 points in Hayes & Harlington constituency, where 71% of residents have a close link to the airport. In Uxbridge & South Ruislip support is ahead of opposition by nine points and 53% have a close connection, (like employment) at the airport. But there is work to be done to ensure the public view is reflected in the local politics there. While the Parliamentary vote may be through, people must still have their say. Heathrow has just announced January and June consultations for 2019 to develop plans for an expanded Heathrow. We will continue to support local communities and businesses to ensure they have their voices heard during the consultation process. Last Friday evening, over 200 Back Heathrow supporters gathered for a summer party at the Indian Gymkhana Club in Osterley to celebrate the campaign’s success over the last year. In June, MPs voted in favour of expansion with a majority of 296. This is the biggest milestone of the campaign to date, and our supporters were key to winning the vote with such a big margin. Executive Director, Parmjit Dhanda, kicked off the evening with a speech and a little awards ceremony for categories including ‘Best Actress of the Year’ for Cllr Helen Manghnani for her portrayal of Theresa May and ‘Media Darling of the Year’ for Fiona Sadek and her interview with the Richmond and Twickenham Times. Cllr Helen Manghnani (left) and Fiona Sadek (right) accepting their awards. Virendra Sharma, MP for Ealing and Southall, also attended the event and thanked his constituents for their support and highlighted the importance of Heathrow expansion by providing thousands of jobs and apprenticeships for his constituency. Councillors from Spelthorne, Ealing, Slough, Hounslow and Reading were also present, in addition to members of the Hounslow Chamber of Commerce. Parmjit said, "It was great to see the level of support in Hounslow at this event. At Back Heathrow we're very proud of the ethnic and social diversity of our supporter base. We are truly representative of the area. We are bound together by a desire to see new economic opportunities and jobs for their local communities and our country. After the parliamentary vote, we'll work to ensure that expansion delivers the best possible scheme for the local economy and the local environment." The event was a great success, and we are forever grateful to our supporters for all the work they do for the campaign, and their commitment and belief in the expansion of Heathrow, so thanks a million everyone! Last week’s local elections ended up being judged a score-draw by many political commentators but for anti-Heathrow councils it was a bad night. Richmond and Wandsworth councils have been part of a group that has spent around £1 million of taxpayers’ money campaigning against Heathrow expansion over the last few years. Whilst locally Heathrow expansion may not have been a big issue at this election, residents are showing clear signs of tiring of their representatives using taxpayers’ money to pursue their anti-growth agenda - when they could be spending the money on vital local services. In Richmond the Conservative council has made a virtue of going against their national party and opposing Heathrow expansion. They lost a total of 28 seats and with it control of the council. The Wandsworth Conservatives did hold the borough, but they lost eight seats. These results show that outright opposition to new jobs, apprenticeships and investment was not rewarded on election night. The results showed that fighting a campaign against the provider of so many local jobs is no longer a required position for a prospective west London politician to get elected or re-elected. In fact, the opposite may be true with anti-expansionism showing signs of being an electoral turnoff. We’ve already seen this trend at last year’s general election when the pro-expansion Stephen Pound, Virendra Sharma and Kwasi Kwarteng were all comfortably re-elected to Parliament with big majorities. Last week we also saw setbacks for Labour in Hillingdon and the Conservatives in Hounslow who both fought vehemently anti-Heathrow expansion campaigns. Local politicians need to learn the lessons from these elections and respond accordingly. Polling consistently shows that residents in local boroughs back expansion. The evidence suggests that Heathrow expansion is now more likely to be a positive rather than a detriment in election campaigns. That's something that all parties need to take heed of when they campaign in an area with over 100,000 supporters of a new runway.